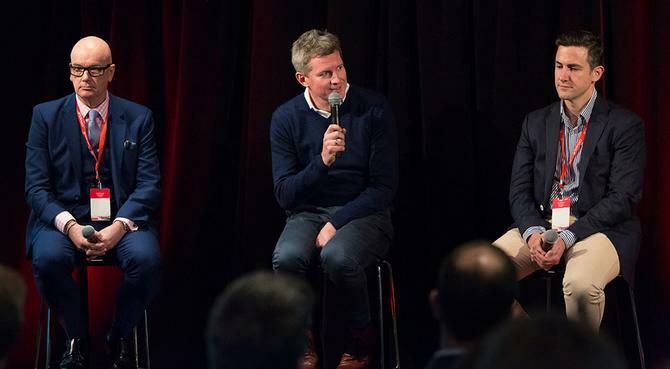 Speaking on a customer panel at the Oracle Marketing Cloud event in Sydney, Network Ten director of commercial, business development and CRM, Martyn Raab, cited availability of human resource as one of the two key internal obstacles hindering his ability to be a modern marketing organisation. American Express head of global digital marketing, Jeffrey Evans, agreed skillset was a core challenge, adding that his team is working closely with the HR department as well as endeavouring to elevate its position internally and externally as an innovative and digital-led company in order to attract talent. But he also found the siloed nature of his organisation as a stumbling block to achieving consistent customer experiences. “Who owns the data, the relationship with the customer, what are the key touchpoints and where are they managed?” Evans asked. At Telstra, top internal challenges include data and automation as well as managing competing workloads, its general manager of customer communications, Keiron Devlin, said. Devlin said content, and having a consistent conversation with a customer irrespective of who they are or their lifecycle stage, was another hurdle. “From our point of view, it’s about that value chain, needing the right people and investment to support that and support our aspirations,” he said. All three panellists shared the steps taken to bring IT and marketing functions into alignment within their organisation. At AMEX, the relationship had once been “adversarial”, Evans admitted. “Now IT is the first group in the room, with a seat at the table,” he said. “There were two things that changed that. The first was speaking a common language – marketing has to understand the key drivers for technology, and vice versa. Evans said AMEX established a business IT aligned roadmap last year, helping the organisation better invest and deploy resources. This will be revised in coming weeks and continues to ensure the technology team has a hand “at the wheel”, he said. Telstra’s lead for customer marketing, Nick Adams, describes his function as a technology driven organisation and Devlin explained one of the ways it ensures this is through strong relationships with technology partners. “We also have a facilitation group that sits between IT and marketing and that focuses on IT roadmap discussions, prioritising investments and so on,” he said. “It’s very integrated and we’re aware of the role they play. Network Ten has moved on from IT pushing a solution, to a more collaborative arrangement between technology and line-of-business teams, Raab said. “Digital and IT now sit together, and IT is really executing against those requirements,” he added. Panellists were also asked the practices they currently engage in that they didn’t prioritise or consider five years ago. All cited a switch from ‘batch-and-blast’ to increasingly targeted customer communications. “The thing that’s changed the most is that gut feel has now left the room,” Evans continued. Devlin added he’s also spending a lot more time with data analysts, trying to interpret data and apply those lessons to how his team markets to customers. Raab said the other big change has been the constant measurements and checks marketers put in place around everything they do. “Before we’d see some results and then move on – now, it’s about an ongoing relationship with that customer,” he said.